With the spring semester well underway for schools all across the country, both students and teachers are settling into a routine. However, for those students and teachers who are in a new classroom, it can take a bit more time to get comfortable. At LearningRx, we’re passionate about helping students of all ages improve their cognitive skills through our brain training programs. If you’re interested in opening an education franchise in your city, then contact us today! If you’re a teacher, then you’re hopefully excited for a new group of students this semester. You might be teaching the same subject matter as you did last semester, but you have a new batch of minds that are ready to learn. You may have taken time during the winter break to revamp some content or build off what was taught during the fall, and now you’re ready to help students discover more about the world around them. 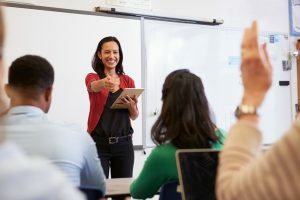 You may have some students who have trouble keeping up with their classmates or who don’t seem to be understanding the content that you’re presenting. It can be beneficial to work with these students one-on-one, and you could suggest brain training for those who seem to have trouble focusing or understanding written or verbal instructions. This one-on-one time can also give you the opportunity to get to know a student better and understand their personality. If you’re a student who moved to a new town or transferred to a new school during the winter break, then a new classroom can be a very overwhelming place to be. You don’t know anyone in your class, and the teachers are all new to you as well. You may be relearning some things that you already covered at your previous school, or you may be encountering new subjects that you haven’t seen before. Whatever the case may be, the pressure to keep up with your classmates, along with the social pressure of assimilating to a new classroom, can be quite a lot to handle. As a student, you can take ownership of your learning experience and help yourself achieve greater success with brain training programs. Check with your teachers or administrators to see if there is a LearningRx center in your community. You can also talk to your parents about getting help outside of school by working with a certified brain trainer. At LearningRx, we’re proud to offer an alternative to traditional tutoring, and our programs have shown to have great results with students of all ages. If you’re a teacher who’s in a new classroom this semester, then we’d love to speak with you about how you can get involved in opening a brain training franchise in your community. If you’re a student, then we’d love to connect you with an established learning center near your school. 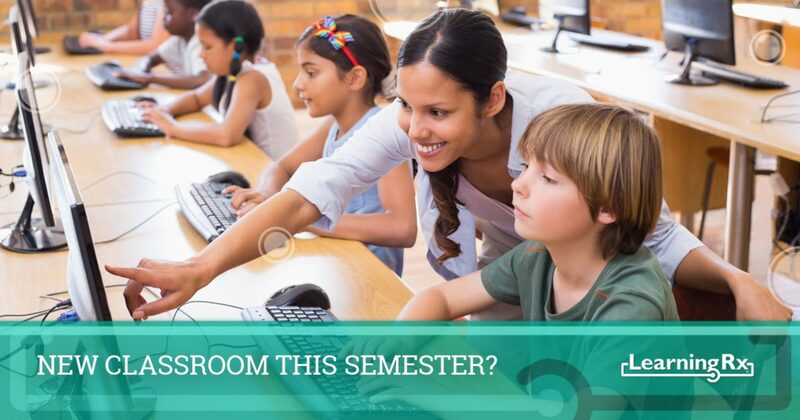 A new classroom can be both exciting and overwhelming, but with the right approach, everyone can have a great semester. Contact us today to learn more about our brain training programs!